Catie’s passion for acting was sparked at the young age of 4 when she first attended a Liberty Junction Theatre open casting call for the musical The Wizard of Oz. She was hoping to land the role of a Munchkin or Ozian and was thrilled when she received a call back for a lead role playing “Toto.” Catie was cast as “Toto” and was the youngest in the production. This was the moment she learned about stage cues, ensemble work, as well as what is means to have a solo part. She was given an award from the director for “Backstage Professionalism.” Catie was then hooked. Since then, she has been in many plays with Liberty Junction Theatre as well as Innovative Arts. 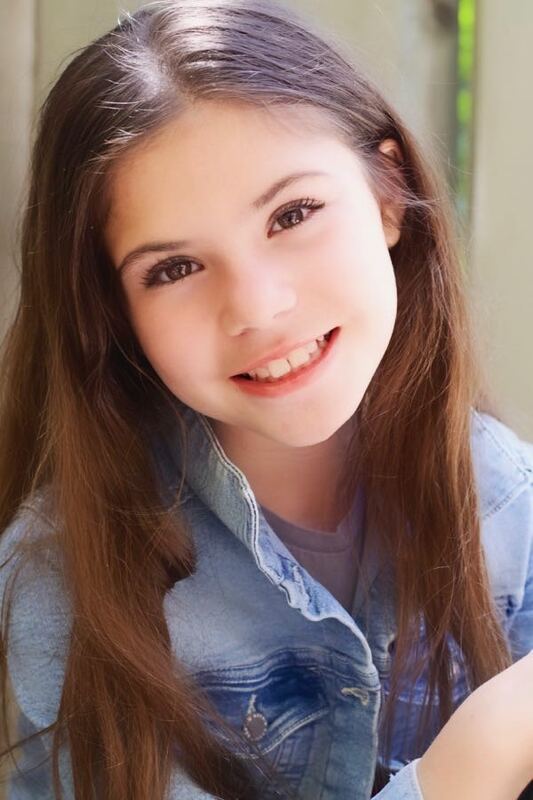 Some of her roles include “Molly” in Annie Jr., “Jojo” in Seussical the Musical, “Jack” in Into the Woods, and most recently, “Summer Hathaway” in School of Rock. In August 2016 Catie decided to give acting on camera a try. On her second audition she booked a sizzle for Spin Master Toys and this was when she first gained the attention of the Spin Master Executives. A month later Catie auditioned again for them and was asked to do her lines 3 different ways: sleepy, angry, and how she thinks they should be. This was when she landed the role of the Police Chief for Zoomer Chimp Webisodes. To this day she is always surprised on set when someone recognizes her as the girl that played the “Chief.” Since then Catie has been fortunate to have had steady work as an actor including World Wide spots & enjoys hearing from relatives in the United States that they have seen her in commercials on Nickelodeon & the Disney Channel. When Catie is not acting she can be found singing, playing softball, swimming, reading, drawing comic strips, as well as binge watching sitcoms. She loves hanging out with her street friends, her dog Ozzy, and her family!